I never thought it would happen, but I finally have to deal with dry skin. From a distance, age 27 always sounded too young—but my mother has dry skin! I still listen to Bright Eyes when no one’s around! And then I recently remembered that, well, my mom had me when she was 26, so maybe it’s not so ridiculous. So it goes. After making sure I was eating enough healthy fats and drinking enough water, I even cracked open a few Chinese medicine textbooks (long story, but working for a wonderful acupuncturist is basically what led me to go back to school to become an RD) to see if there were certain nourishing foods to include on my shopping list to address what I had going on or whether I was neglecting a certain flavor (sweet/sour/bitter/etc) I might benefit from using more. Say what you will about Eastern medicine, but I think a balance of east-west is a very sane way to take care of ourselves. Anyway, though I can’t say the yin-nourishing, “sweet” foods (like brown rice, cabbage, white mushrooms, and other things I swapped in for other foods) hurt, I wanted some quicker results (God bless America). A little “It’s okay…” blurb from Glamour magazine about using half the avocado for a face mask and eating the other half reminded me that nature really does provide some of the best beauty treatments around—f*** wandering the aisles of Duane Reade and emerging $40 poorer with an assortment of stuff that doesn’t work! This face masks costs around 55 cents and made my skin feel amazing. It’s even better if you listen to whatever your guilty-pleasure music is because that’s, like, what girls do when we’re wearing face masks or something…Or you could just work on your super-nerdy stats assignment, like I did. Mash avocado in a bowl or other container. Stir in honey. Spread on face. Leave for 10-15 minutes. Wipe off mask with a damp washcloth and rinse. What’s your favorite at-home beauty ritual? This entry was posted in Uncategorized and tagged acupuncture, avocado face mask, beauty, Chinese medicine, health, skin. Oh my gosh, I feel you! How is it even allowed for people to show signs of aging in their 20s?! I think I started noticing body changes and dry skin around 27 too (last year), and was kind of in denial about it until the woman who was giving me my Groupon facial commented on it. Couldn’t hide from it after that. 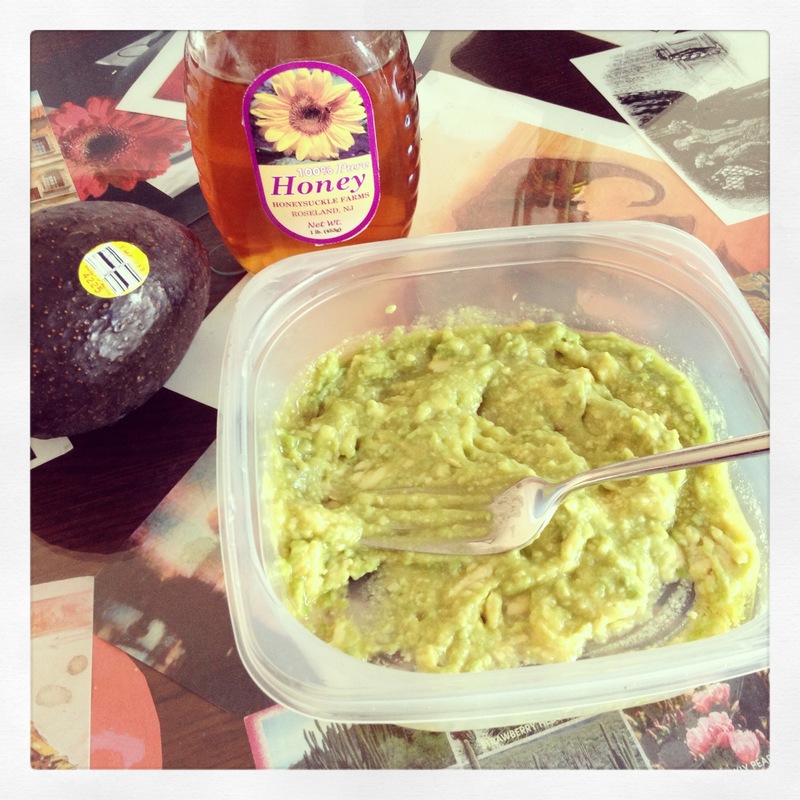 I’ve never tried the avocado mask, but you’re inspiring me! And I would likely attempt to dance around to that Robyn jam a la Lena Dunham, but ultimately feel guilty and start to work on my dissertation. Sigh. Seriously! Not fair. Ah well, such is life. I remember when my hairdresser showed me my first gray hairs—I laughed, actually. Totally hear you about dancing around and then feeling guilty about work. Sometimes I wonder if I’ll be able to enjoy my little impromptu dance parties without feeling like I “should” be doing something else! I totally want to try that mask. Such an easy idea, love it. I definitely need to do that, my skin has been so dry this winter! Agreed that a combo of Eastern and Western medicine is a practical way to approach health. Good for you for researching and trying various things. While I don’t have much of a beauty regimen, my wife sometimes uses a combination of olive oil, sea salt, and fresh squeezed lemon juice as a scrub to combat dry skin. It seems to work for her! Thanks for the comment—I’ll have to try your wife’s recipe!